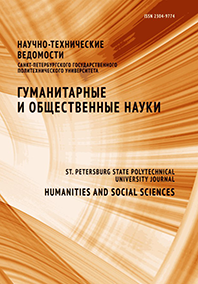 The article is devoted the problem of the study and use of natural resources in the European North within the Soviet industrial political project during its development and initial implementation. Based on the methods of political design the resource potential of various regions in the European North. Reflects the value of the GOELRO plan for the development of the Arctic, identified potential industrial centers of the regions (Murmansk, Arkhangelsk, etc. ), their specialization (sawmill, mining, fishing industry). Shows the value of the period of the new economic policy, when the development of the Kola Peninsula and continued scientific expedition to study the natural resources of the European North. The importance of Arctic exploration in the process of Soviet modernization, reflected in the plans of the Bolshevik leadership. Lists the new construction projects in European North of the country under first five-year plan of national economic construction of USSR and the reasons of the changes: the opening of new deposits on the territory of the Arctic (Vorkuta, Monchegorsk, etc.). Formulated the reasons of active development of the European North of the USSR: the presence of the railway and Maritime communications, exploration of mineral deposits, the existence of a cheap source of labor – prisoners and exiles. The features of the use of forced prison labor and new camps with political and economic point of view, the contribution of the camp economy to the industrialization of the Soviet North. In Soviet industrial political project in the Northern territory become the means of ensuring the needs of the economy in fuel, raw materials and foodstuffs, the source of the necessary money capital, the isolation of opponents of the regime.